Hard to believe. It’s the fifth go-round for Sports List of the Day‘s annual look at the best boxers in the world by weight class, courtesy boxrec.com. Wladimir Klitschko maintains his hold on the heavyweight crown for the second year in a row, while a man much in the media lately, “Money” Floyd Mayweather, Jr., remains the best pound-for-pound boxer in the world for a fourth straight time. The 63-3 Klitschko’s next fight will be April 25 against Bryant Jennings (19-0) at Madison Square Garden. 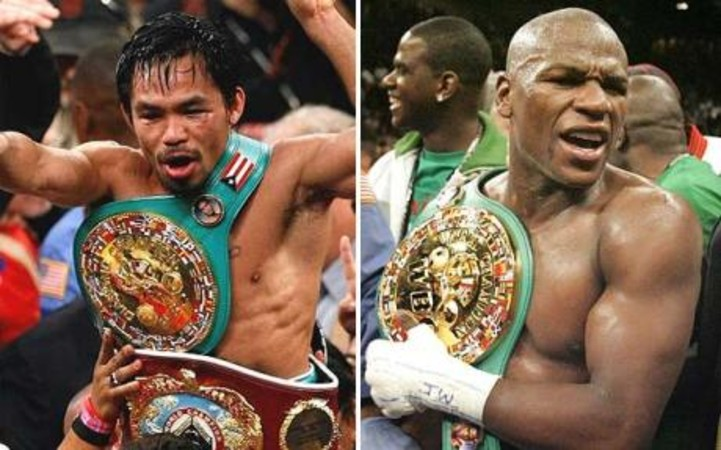 At last, the undefeated Mayweather (47-0) will be facing off against 57-5-2 Manny Pacquiao, another four-time (and consecutive) pound-for-pound title holder (2008-2011), on May 2 at the MGM Grand. Can’t wait for that one. Be sure to check out boxrec.com for all your boxing info needs – current and historical – including the current top 25 pound-for-pound boxers in the world. Hard to believe, but it’s Sports List of the Day‘s 4th annual installment of the best boxers in the world, courtesy boxrec.com – the best boxing site on the Web. Thanks to all the sports fans out there who have kept both sites going! 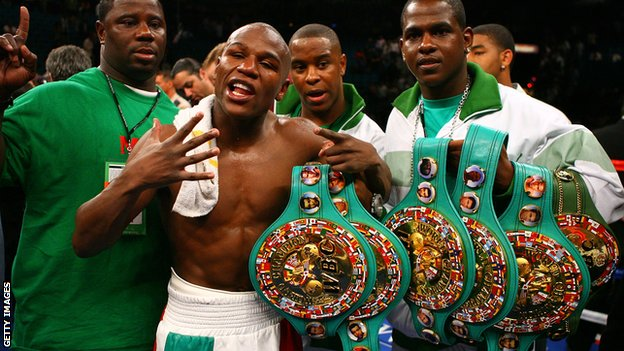 The still-undefeated Floyd Mayweather (46-0) continues to be the best pound-for-pound boxer in the world. His media-nemesis (for they will never meet in the ring, it seems), Manny Pacquiao, clings to second-best. Three Americans fell from last year’s list, but they have been replaced by three other Americans, maintaining the United States’ five-man presence (and leadership) amongst the rankings. Japan comes in very strong in the lighter classes, including tops in four of the five lightest. And how about Gennady Golovkin, the first Kazakh boxer to take over a No. 1 slot since we’ve been covering the best boxers in the world: 2011, 2012, 2013 and now…2014, below. 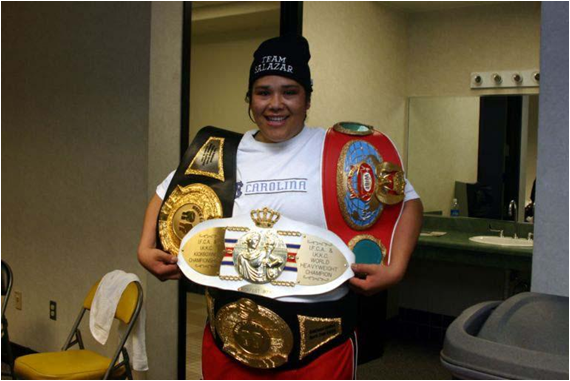 It’s time for our third annual installment of the best women boxers in the world. We just did our third best boxers (men) a few days ago. Just like men’s boxing in 2013, Americans have made a leap in representation in the women’s game. Last year, not one No. 1 woman boxer was from the USA. This year, there are four, including the new heavy in town. After reigning for two years (2011, 2012), Nigeria’s Ijeoma Egbunine is no longer the No. 1 heavyweight in the world. She has been replaced by American Martha Salazar. Included in this year’s list is the best pound-for-pound female boxer in the world – light welterweight Holly Holm, also of the USA. There’s been a lot of general turnover in the rankings. Only Germany’s Christina Hammer, Japan’s Naoko Fujioka, and Argentina’s Erica Anabella Farias and Yesica Yolanda Bopp are repeat rankers. To the rest, welcome to the top. Thanks to boxrec.com and womenboxing.com. There is some discrepancy as to the weight ranges for women’s weight classes. Here are a few links that try to sort it out: boxrec.com, insidewomensboxing.com, and guide2boxing.com.